Personally I do not consider myself a cinephile or an expert in the area, I do not see many movies and those I saw and see are those who can attribute something to me, only if they meet the standards and characteristics of which they can draw my attention. However, with this was a curious case, I was recommended by a friend last week, seeing his title does not really call my attention, but courtesy and for the several years of friendship as well as his good taste both in the cinema and in the reading I gave him an opportunity, as you will know and if it is not so I stress any spiritual or transcendent aspect of mere existence is something that has caught my attention and in this case the subject is directed to death. Death is one of those essential archetypes that dialogues, interrogates, frightens and with complete security is always there, that doubt has always been generated. What else is there after death? The poet Dante in his work "The Divine Comedy" gives us a complete structure of both infernal and heavenly worlds in which men represent a fundamental factor beyond the earthly plane in which dreams and desires are fully and safely fulfilled and it is punished without remedies or excuses. In the divine comedy death is only the transition or passage to this type of experience, however in the seventh ring death is the protagonist. You will see the plot is developed in medieval Sweden at the time of the Crusades where the story of Antonius Block is told, a Swedish knight who, together with his squire, returns from one of the crusades to his village, finding him under the plague. 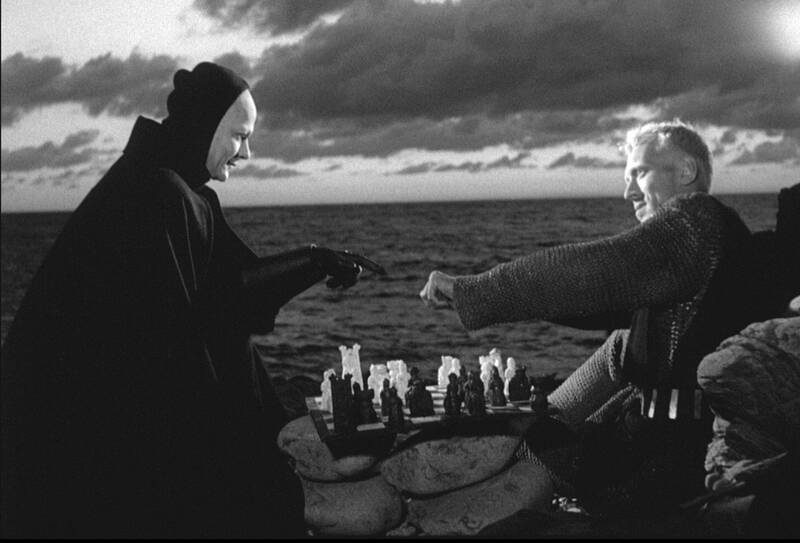 Death is sovereign and arrogant but the knight challenges her to a game of chess to which he accepts laughing. The scenes of this game are serene and transcendental although due to several abrupt moments of the series, the game is interrupted and the story of the knight moves to other planes while entering his town, but death is still present doing its function there until to meet him again and continue his dispute. It really makes me think of life as if it were a game, a game that we will eventually lose and that is a fact, but it is up to us to find the means and alternatives to win time to death, to gain days in our life, to seek meaning and response to our concerns, to complete our dreams and hopes, to spend time with those we love and to excel in this earthly plane, as well as face the fear of disease, evil, hunger and other misfortunes that afflict our lifetime. In order to calm our existential and transcendental concerns we go to comedy to laughter and those values and tastes that comfort us and in some way mark us to move forward while we are in a parallel game of chess against death that also gives us deep answers but it is up to us to capture them or not. In the story, while our knight goes deeper, two street actors called Joe and Mia repeatedly bring joy and laughter to the people, calming them from their rigors as well as their worries and distracting them from the unfortunate landscape in which the burning of women condemned for witchcraft, rapes against women, religious believers lashing out in order to appease the divine punishment imposed by God and vandals taking advantage of the weak and helpless. Antonius in his position is very little he can do and to offer before these evils while the death is dancing next to his scythe and sand relog in the end the death wins and proceeds to take all the souls that I release to a hill while the artists street and Mia one of these artists looks with horror at that march of the condemned which we will all be part of it leaving a deep and allegorical message of this moment inevitable but at the same time liberating. 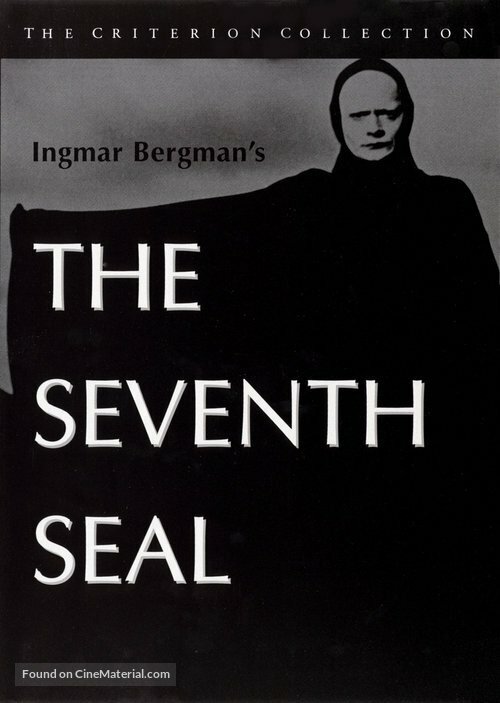 The film is of Swedish origin of 1957 directed by Ingmar Bergman set in medieval Europe by the Black Death, in its original language it is titled "Det sjunde inseglet"